So, the perfect new office space has been found, you’ve broken the news of your move to your staff and clients, and you’ve booked in a moving company. 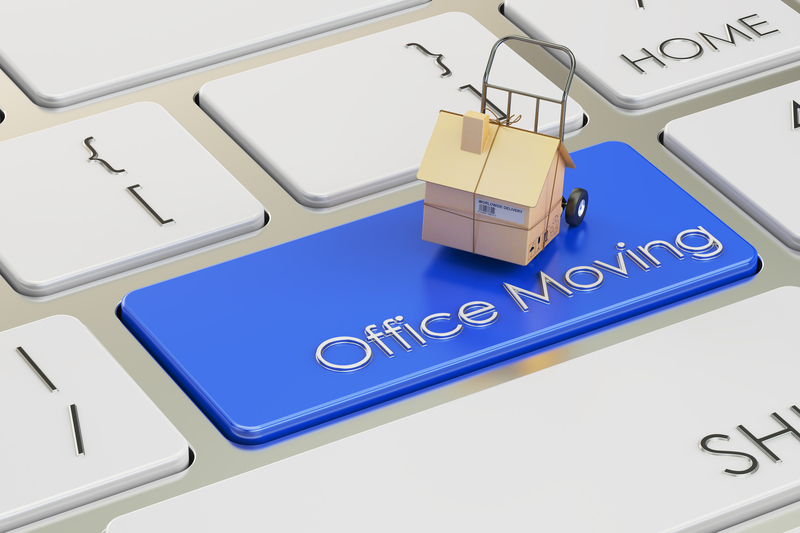 Now comes the biggest task of all – it’s time to organise the relocation of your office IT!We know that is can seem like daunting task for big and small businesses, alike, but it needn’t be. Planning is key, and in this article, we will go over the 7 important things to consider when moving your IT infrastructure to a new location. A well-structured move of your office IT will save you both time and money, and keep your customers and staff smiling! It’s important to bear in mind that your new office space may not have a cabling infrastructure installed that is suitable for your business. A visit to the new site to review the Ethernet points, network points and plug points that are currently available is a must! The configuration and seating plan of your new office should be reviewed, ensuring the best locations for workstations and any new network or power points that may be required. It’s a good idea to also address the key locations for devices such as routers, printers and scanners at this point in the process. There are a few important things to investigate surrounding your internet line and wireless connection prior to moving. You need to establish the type of internet access required at the new location, for example ADSL, FTTC or fibre lines. You would also need to assess the necessary number of ISP points. If changing to a different type of internet line from your current location, there will be a need for new equipment. Current relocation/re-connection time sit at roughly 2 to 4 weeks for ADSL and FTTC, and 1 to 3 months for fibre lines. Wireless testing also needs to be carried out. The wireless points at the new location need to be checked to see if there is enough coverage for the office space. This may or may not result in a need for extra equipment to be ordered. There are constantly new telecommunication offers becoming available. Relocating is a good time to revisit whether you currently have the best deal on the systems you are using. It’s also a good time to think about your expected business expansion over the next 3 to 5 years to know if you should look at a new, more scalable option for your business. Line capacity should be reviewed in order to determine if new phone lines are required. If your office is a user of VOIP, you will need to contact your phone provider and let them know, if you are changing internet providers. And lastly, if your numbers are changing during your move, you need to remember to set up call forwarding! In most cases, the office IT cabinet belongs to the business owner/tenant. However, sometimes it belongs to the landlord, so it is important to check this in the first instance. The IT cabinet location at the new office needs to be assessed to make sure it is suitable for your current cabinet, in terms of electrical, cooling, dimensions and security. Should the new location not support your current IT cabinet, a new one, appropriate for the number of devices you currently have would need to be ordered and received in time. Because the ISP is going to change when you relocate, a new static IP address will be provided. This then requires changes to be made to your VPN and remote access in order for it to work in the new location. If you have other applications on premise, such as Microsoft Exchange, the DNS records will need to be updated to point to the internet line at your new office. When talking hardware, the first step should be making sure that you have all the IT equipment necessary for your new location. Some of it has already been mentioned above, i.e. equipment for a new internet line. The researching, ordering and receiving of these pieces of equipment can be a time-consuming process. The next step is arranging for the physical moving of your IT equipment, specifically the fragile pieces like servers, network devices and data storage devices. These pieces of equipment need to be specially wrapped and transported to avoid damage and malfunction. The last step regarding hardware, would be the installation, testing and optimising once at the new location. This step is crucial, and best gotten right from the get-go to avoid expensive and disruptive future IT mishaps. Data protection always needs to be considered, but especially during an IT office move where your precious data is exposed to more risk than normal. Loss of data is catastrophic for business, so it’s important to be prepared for the worst-case scenario. You should ensure that there are both local and offsite backup copies of all your company data systems, which should include servers and firewalls. Recovery needs to be guaranteed so that if anything goes wrong, you’ll be able to restore access to your important business information. As you can see, there are numerous important factors when mapping out your IT office move. But with a process, checklists and future planning, a smooth move can be achieved. Irrespective of whether you have your in-house IT department handling the IT move or you have an IT service provider who will take care of most of it on your behalf, it’s essential that each detail is planned with precision, and well ahead of time. If you’d like to find out about our comprehensive IT Office Move service, click here.